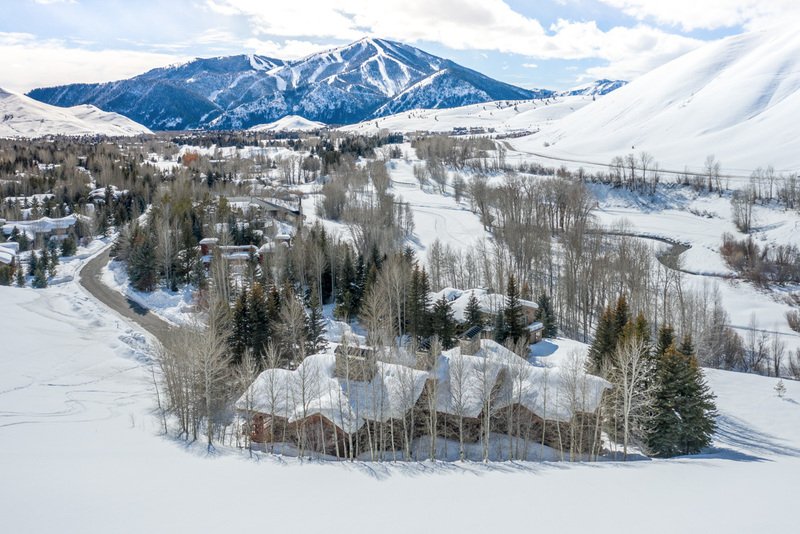 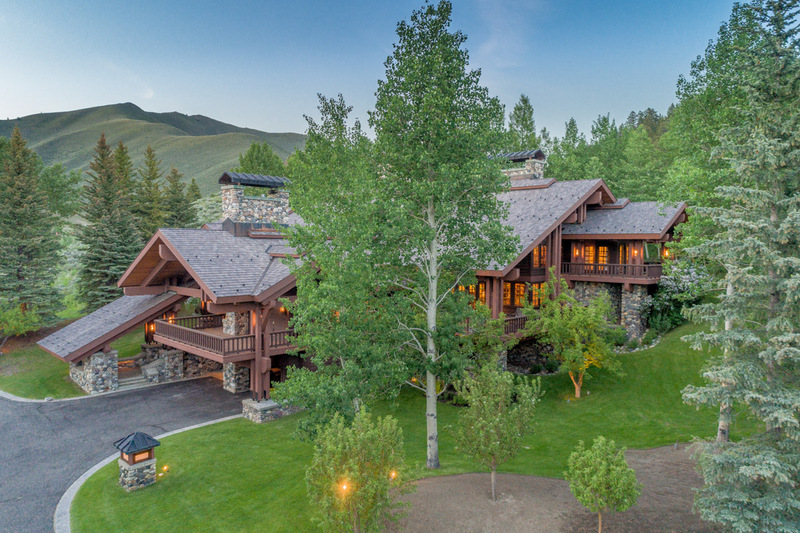 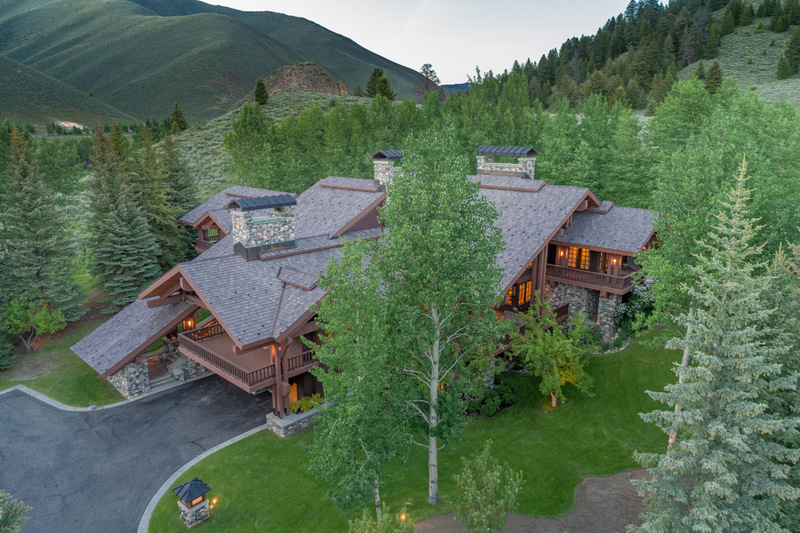 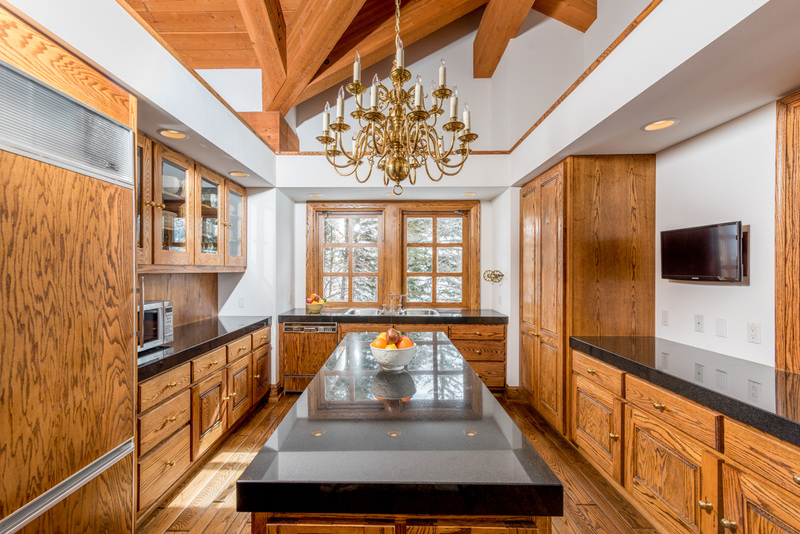 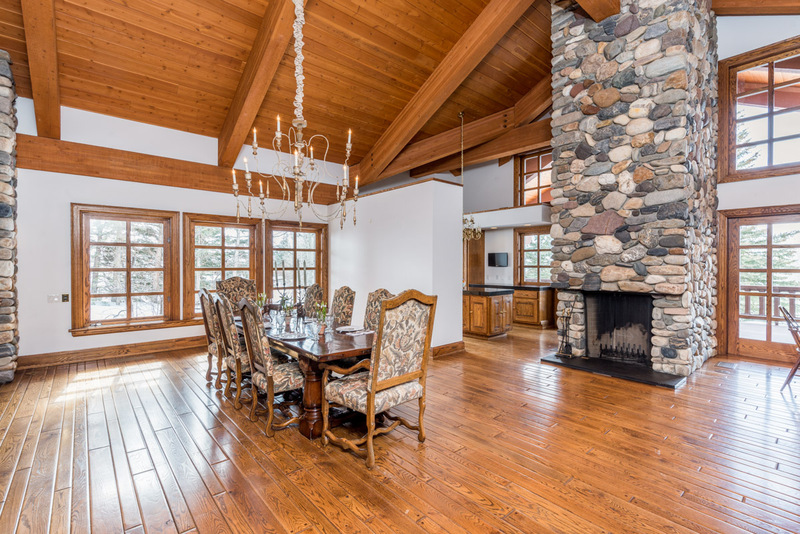 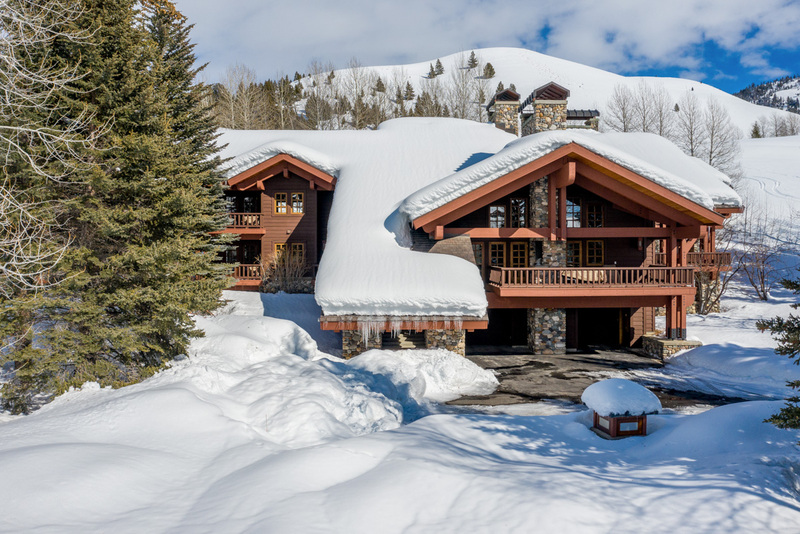 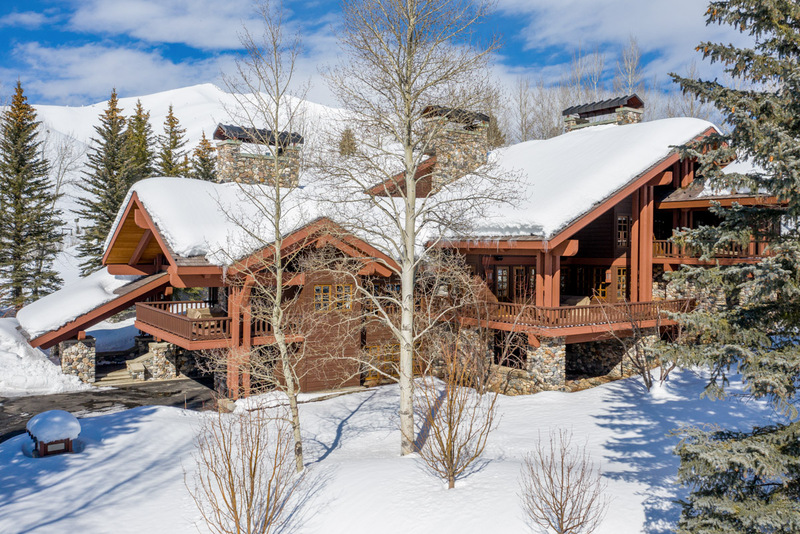 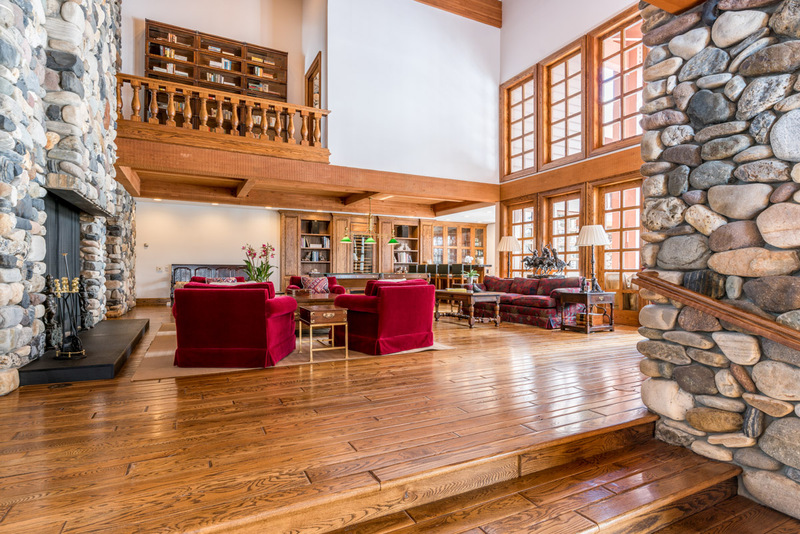 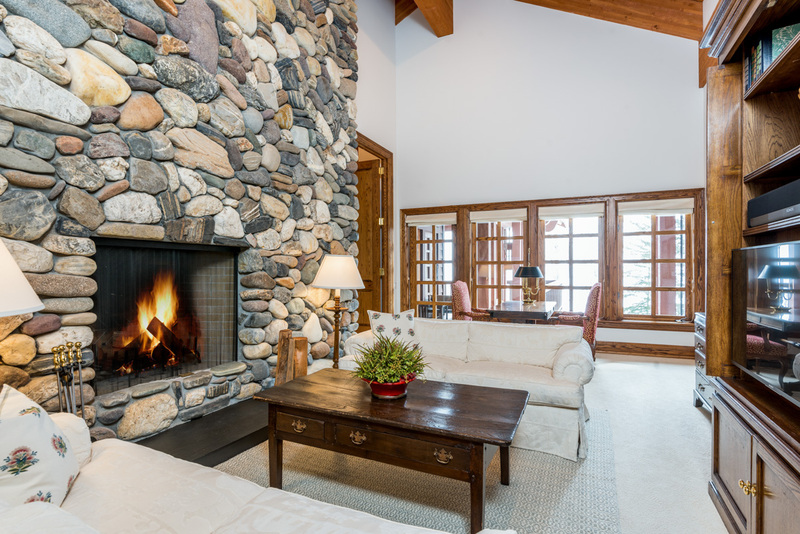 A home fit for Hollywood royalty, River Rock Lodge sits high above the Sun Valley golf course with sweeping mountain views and total privacy just five minutes from downtown Ketchum. 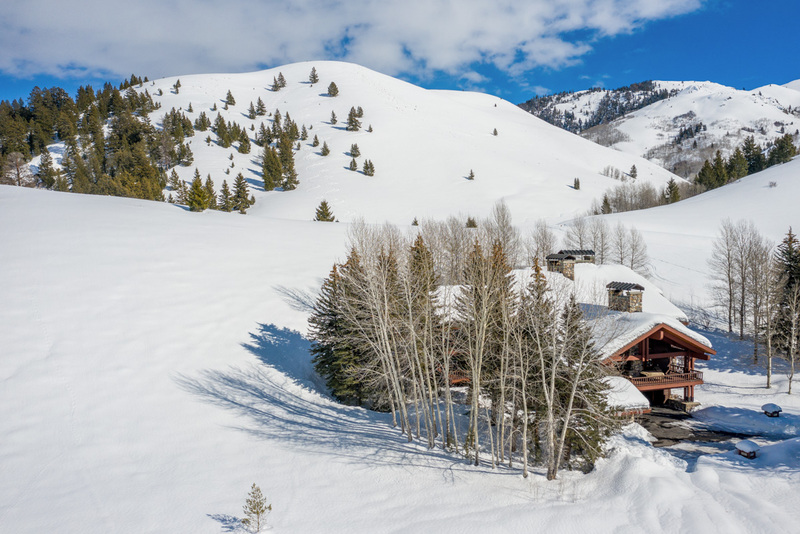 Built for Richard Zanuck (son of Darryl Zanuck, the Academy Award-winning director and producer of All About Eve) this home is a short drive from the slopes of Sun Valley, with the popular Proctor Mountain hiking trail just outside the door. 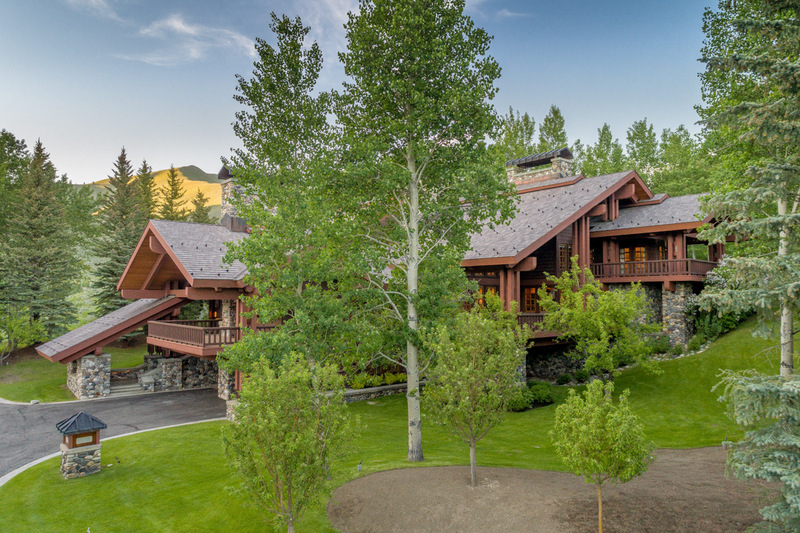 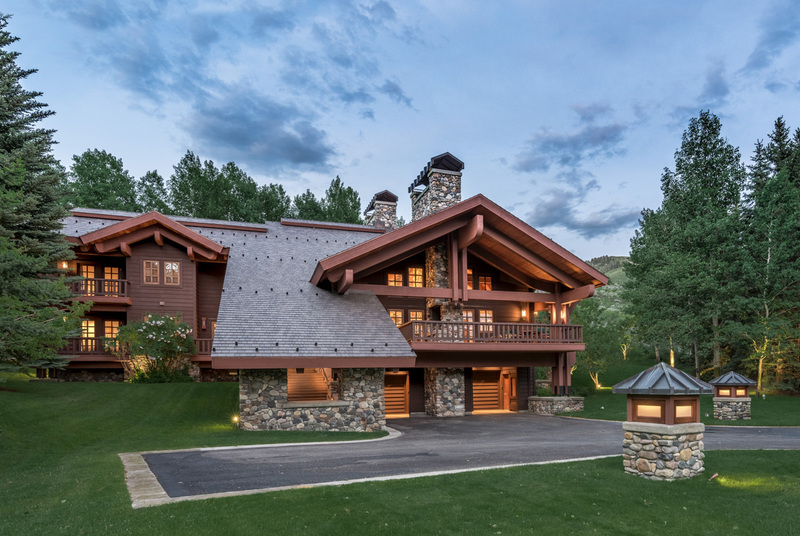 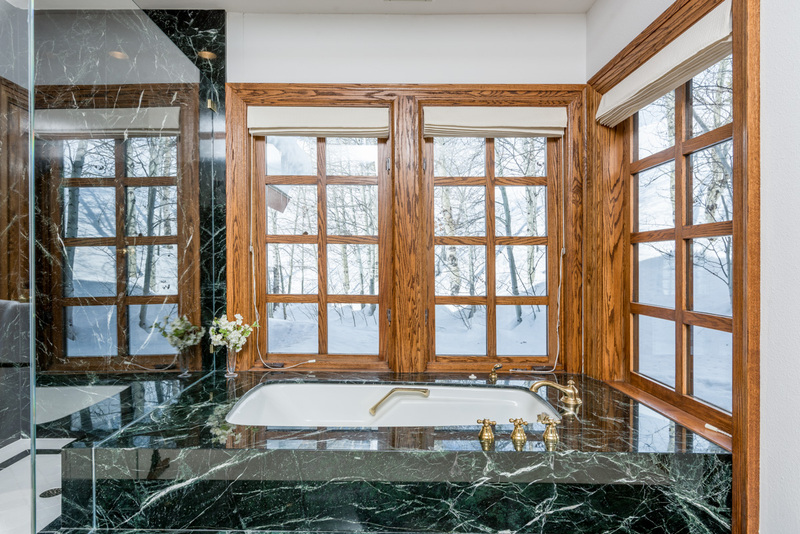 Nestled on landscaped grounds surrounded by aspens, the 7,600 square-foot estate evokes a European villa with a stone and redwood exterior, an engineered wood roof, oak floors and beams, and expansive decks facing Bald Mountain. 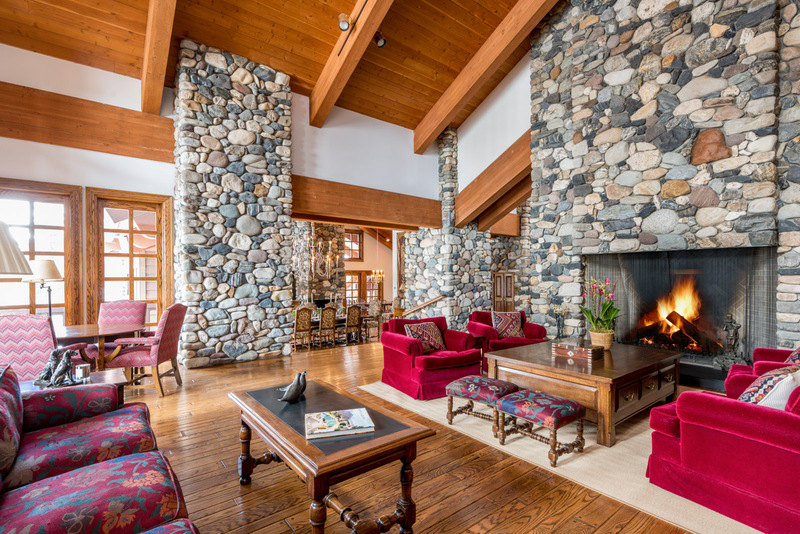 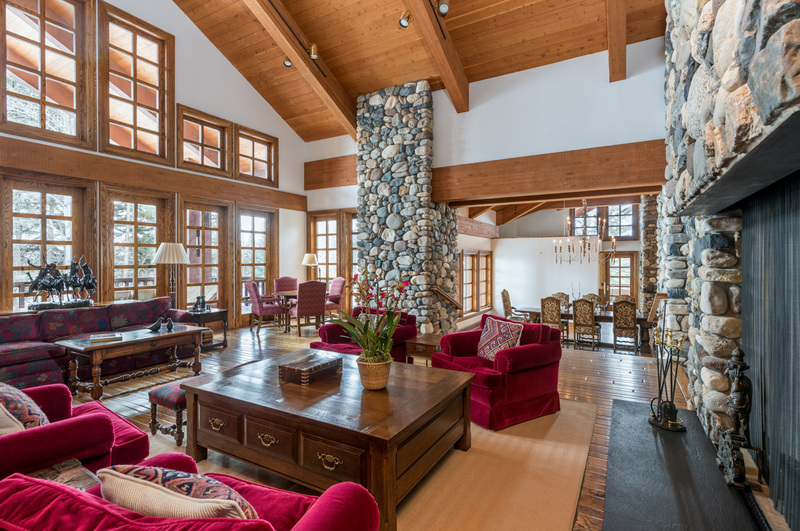 A spacious great room welcomes you with double-height ceilings and a classic lodge atmosphere, including river rock walls and hardwood floors. 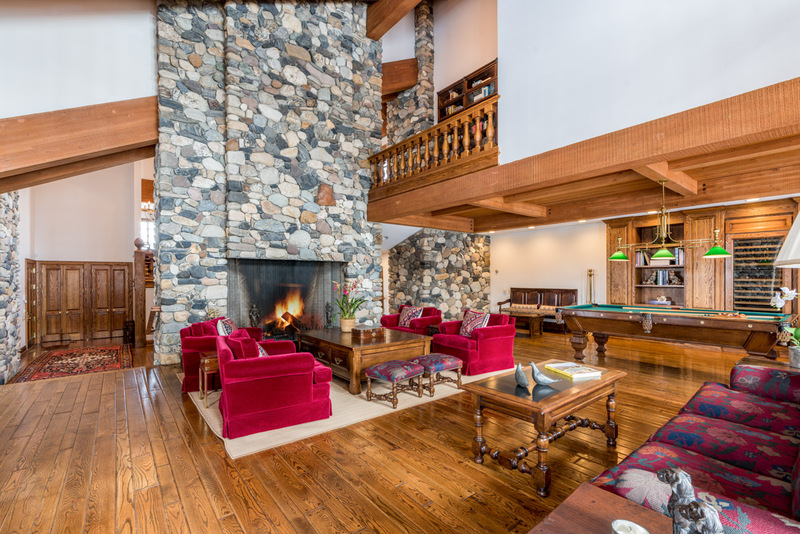 Four cherry-colored velvet armchairs surround an impressive, floor-to-ceiling stone fireplace, while additional seating and entertainment areas provide intimate spaces to catch up with family and friends. 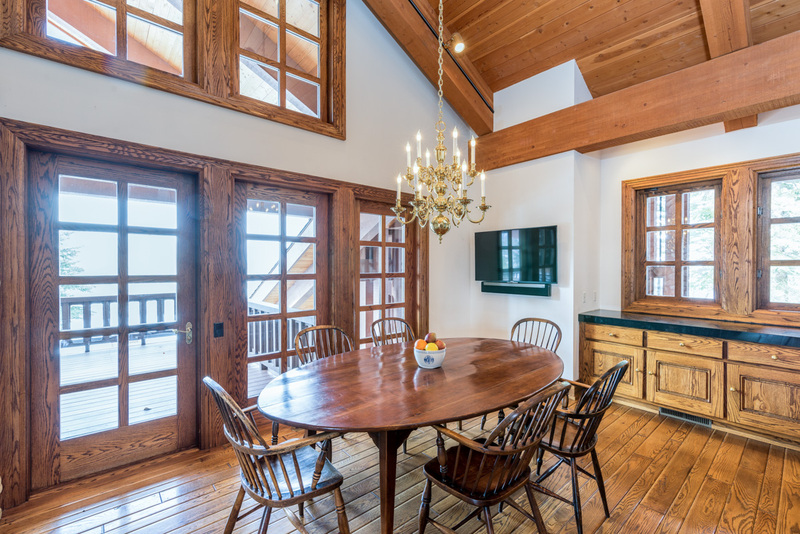 In one corner, a four-seat card table overlooks the deck through grand French doors. 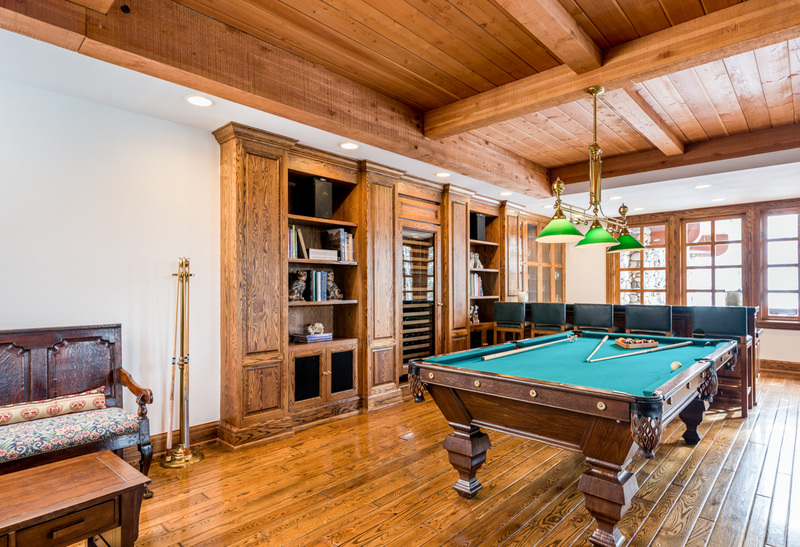 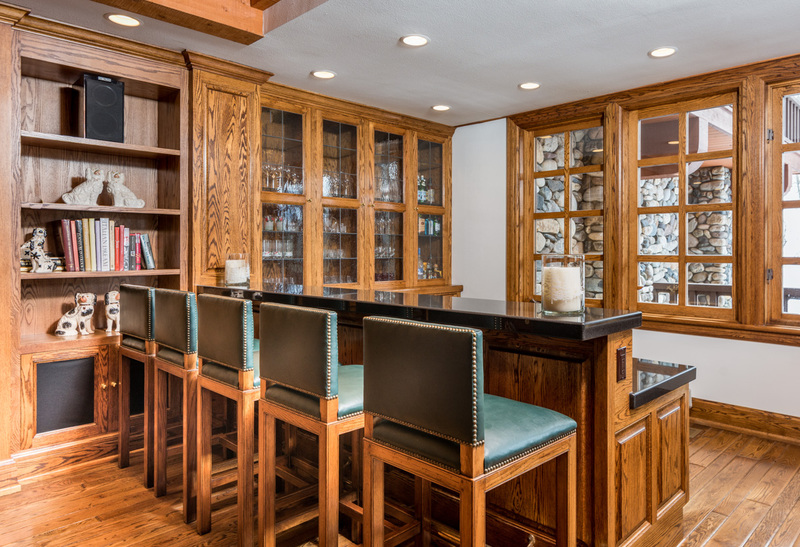 In another, a pool table and wet bar, complete with five stools and wine storage, set the scene for in-home apres-ski. 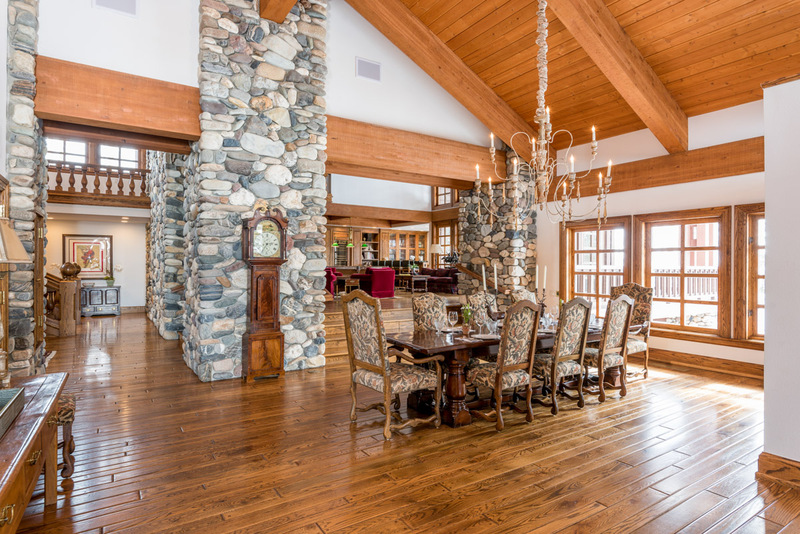 The great room flows seamlessly into the dining area, where a formal 10-seat table and adjacent 6-seat breakfast table allow for large-group dinner parties. 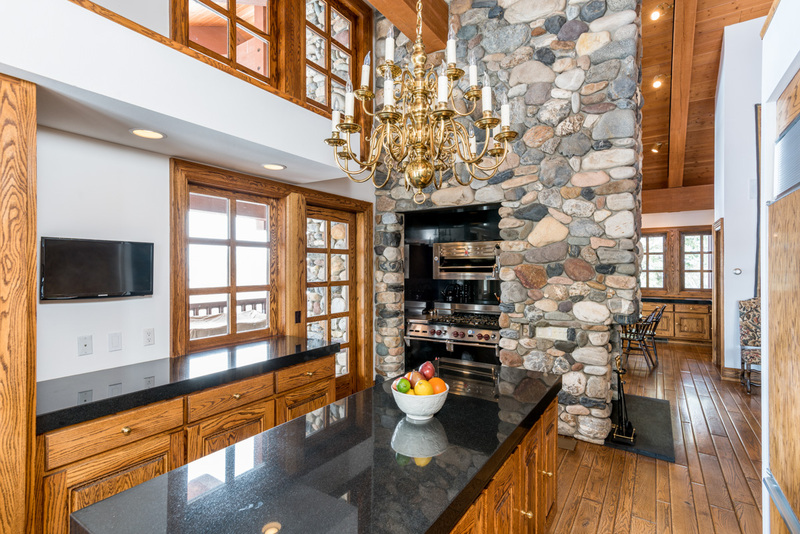 An elegant chef’s kitchen with granite countertops and high-end appliances provides space for home-cooked gourmet meals. 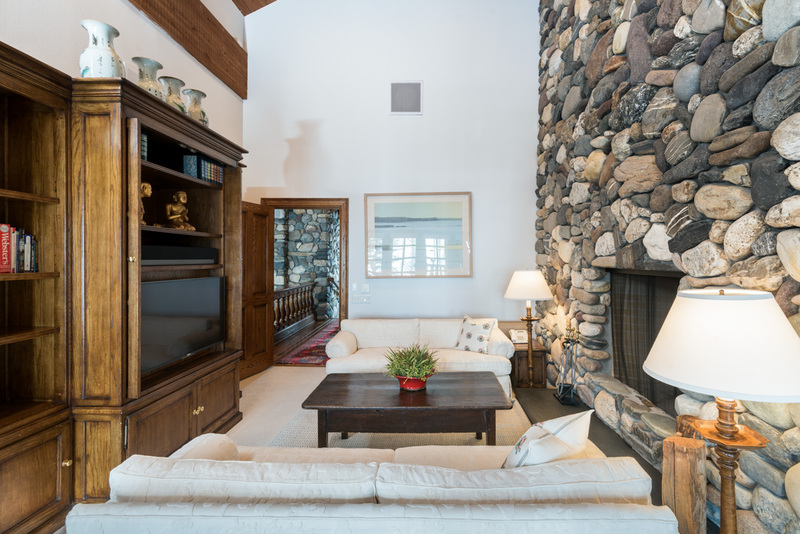 Just off the living area, a private deck overlooks Bald Mountain with relaxed seating and a BBQ grill. 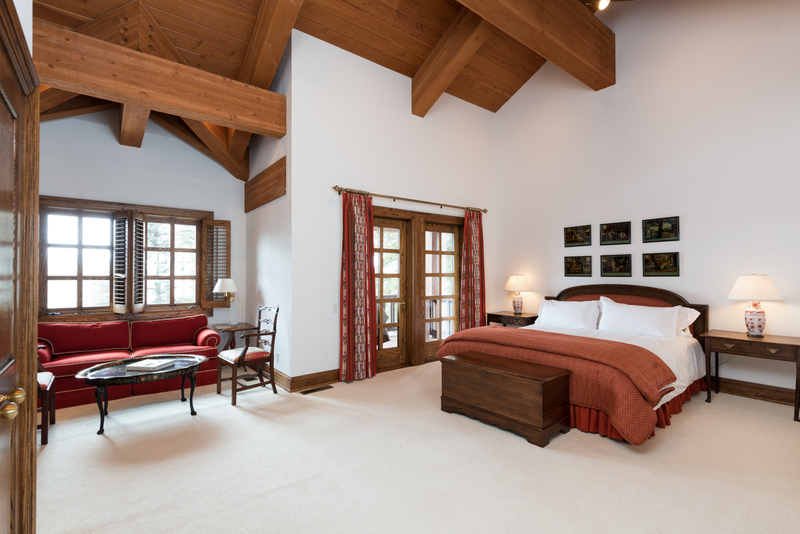 Upstairs, the master and guest master suites solely occupy the third floor, providing ultimate privacy with each situated in its own wing. 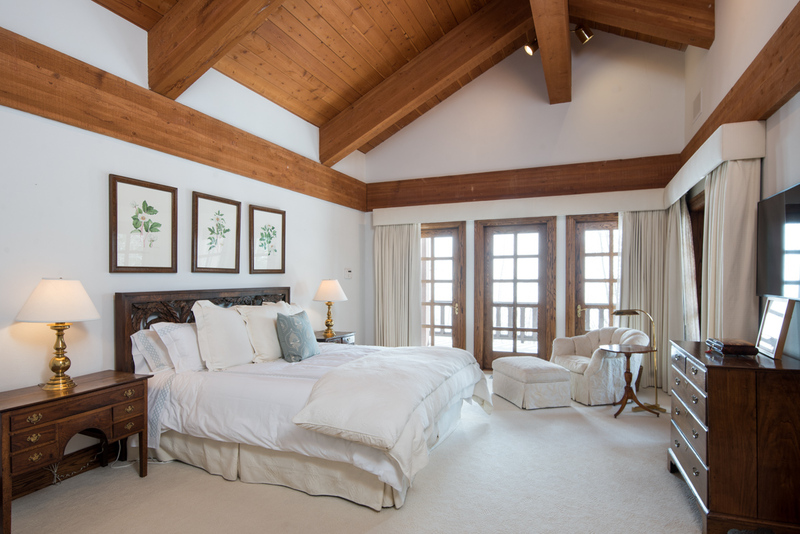 The generous master, styled in cheerful decor with cranberry-red and rust accents, has a king-sized bed, flat-screen TV, plush reading sofas, and glass doors opening onto a private deck with sweeping views. 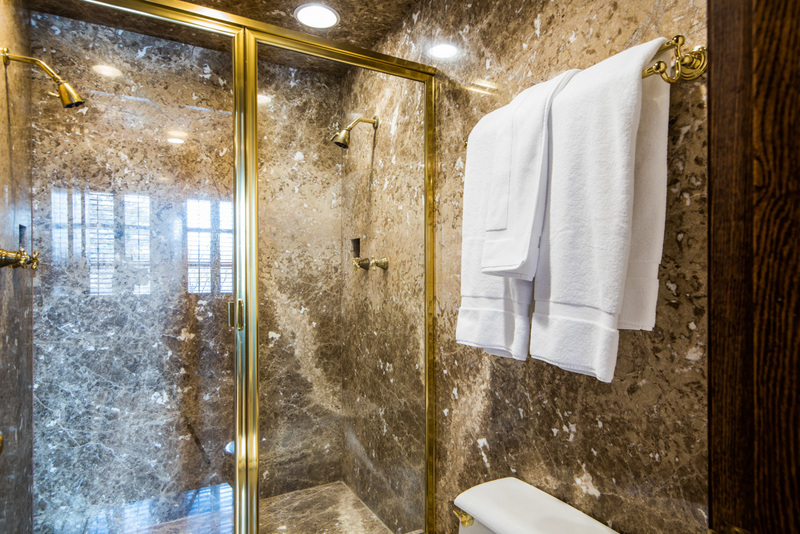 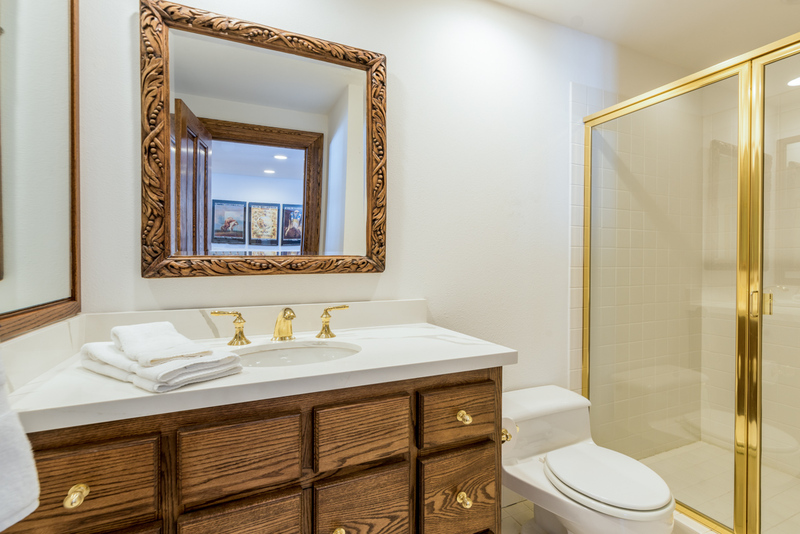 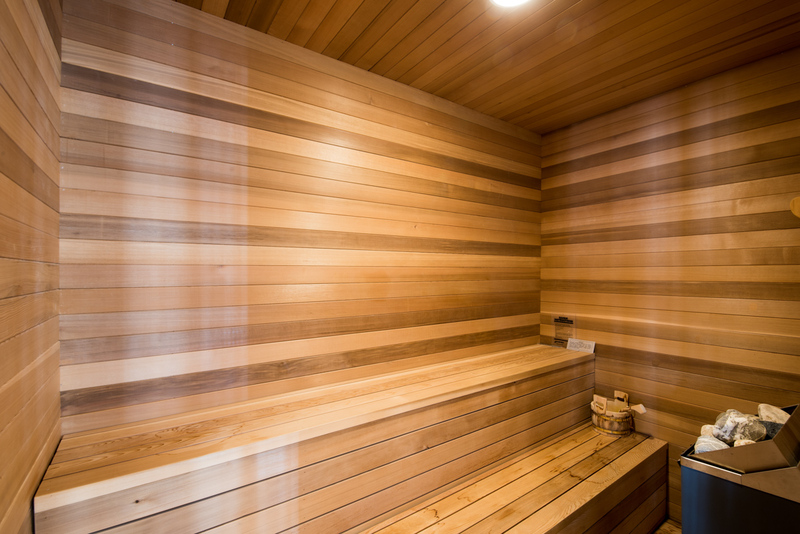 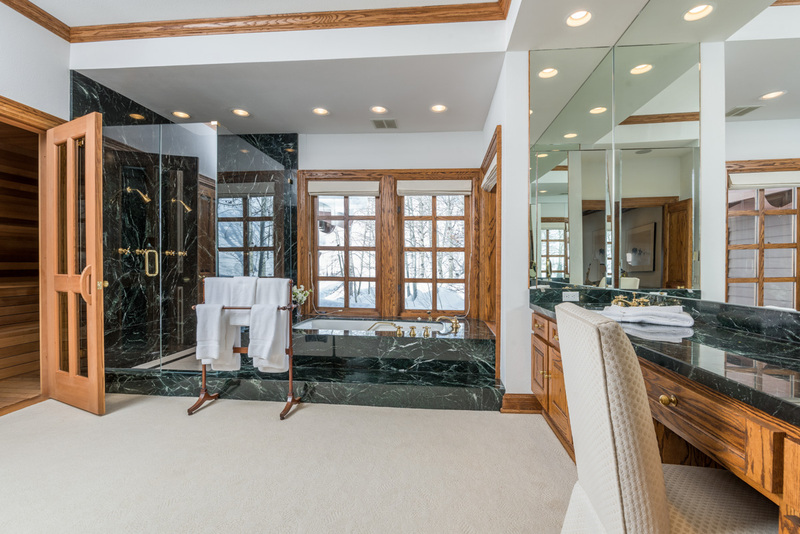 A luxurious en-suite bath features a jetted tub and separate sauna. 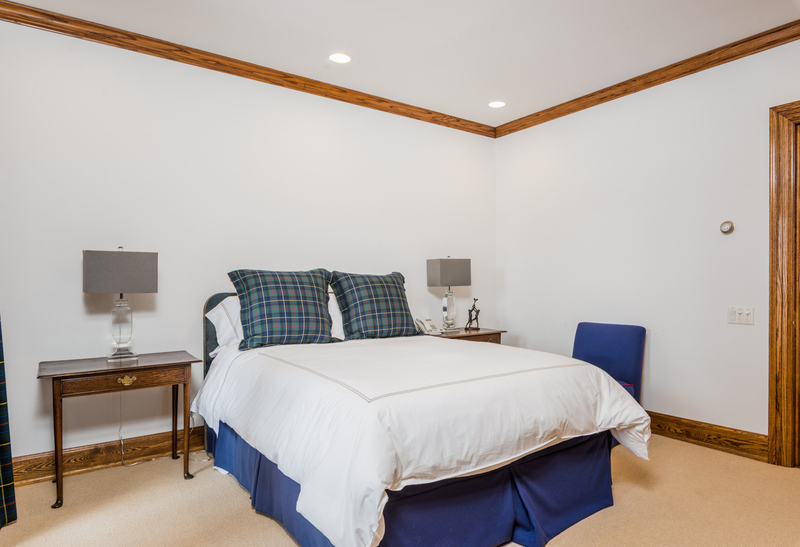 The guest master, styled in elegant white decor, features a king-sized bed facing a flat-screen TV, and an en-suite bath with jetted tub. 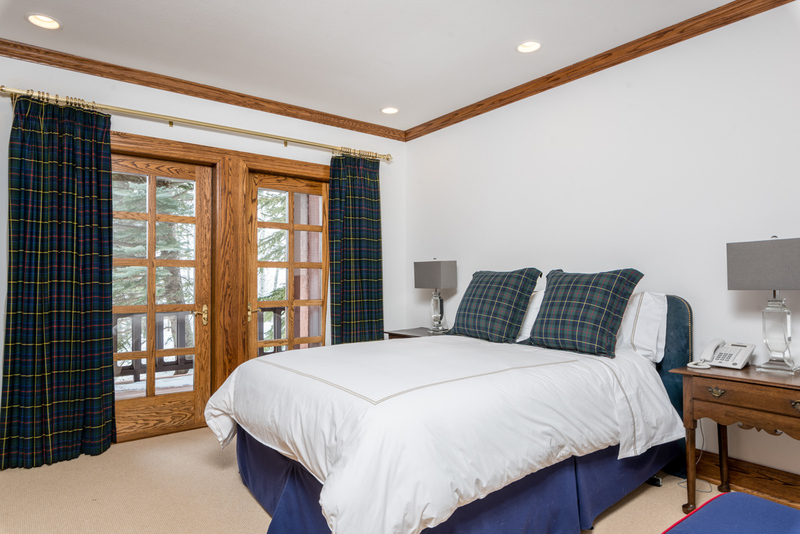 This room also has a private deck. 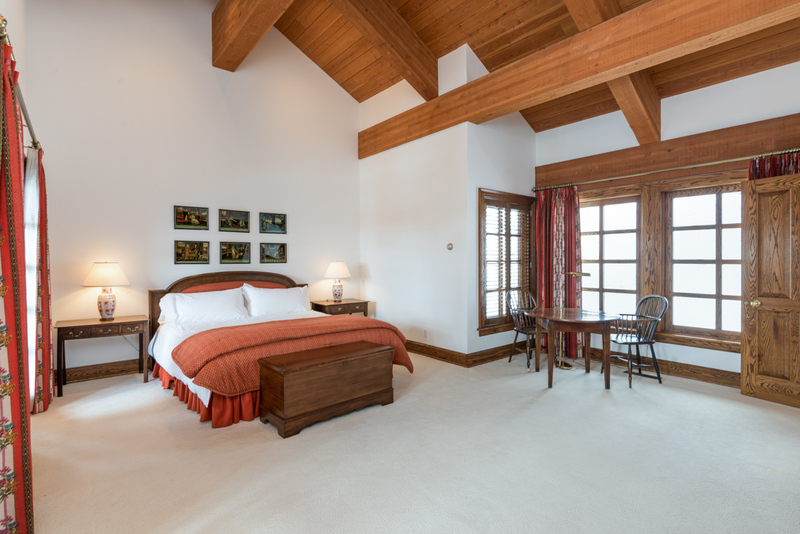 The third and fourth bedrooms, located on the main level, feature queen beds, TVs, and private decks with outdoor seating areas. 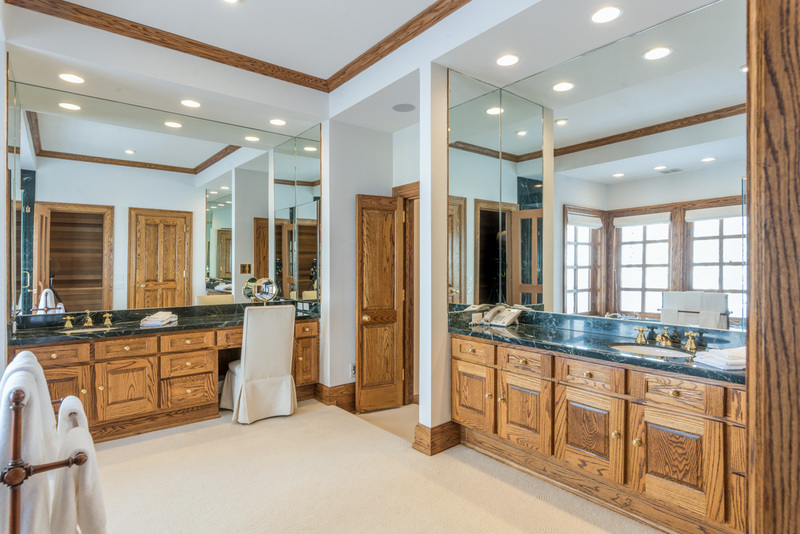 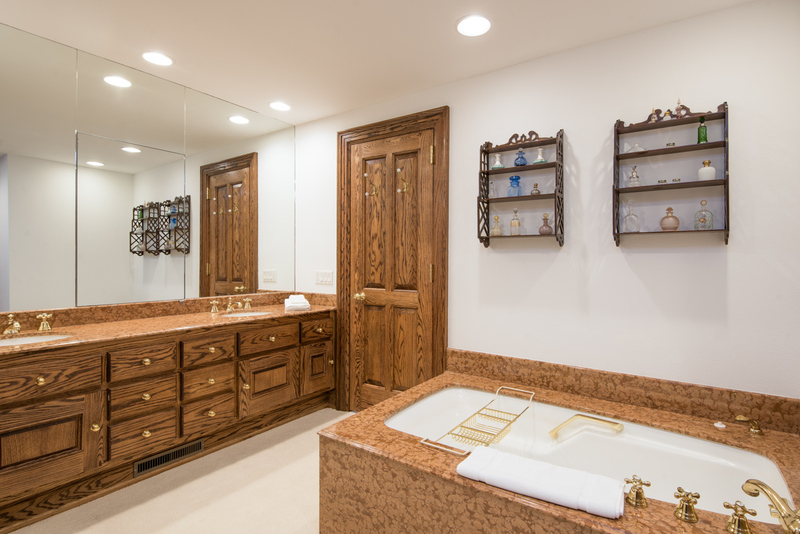 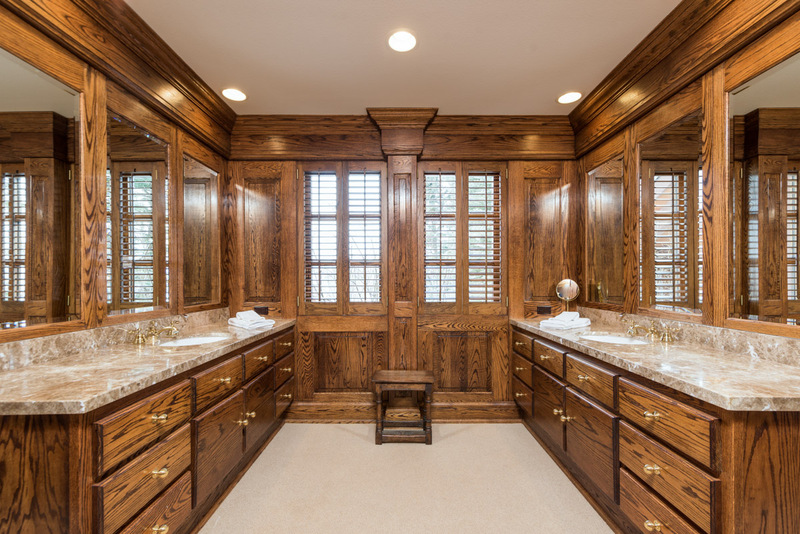 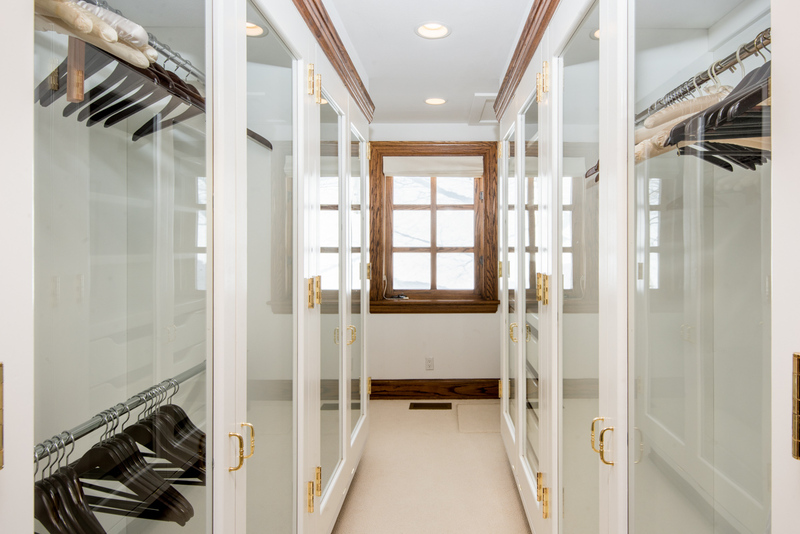 These bedrooms share a jack-and-jill bathroom. 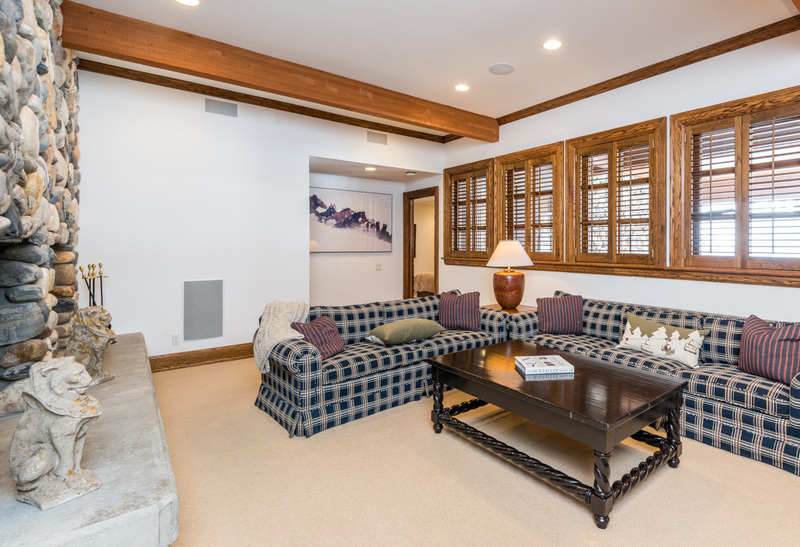 The lower level opens onto an informal den with two sofas, a cozy fireplace and a large-screen TV. 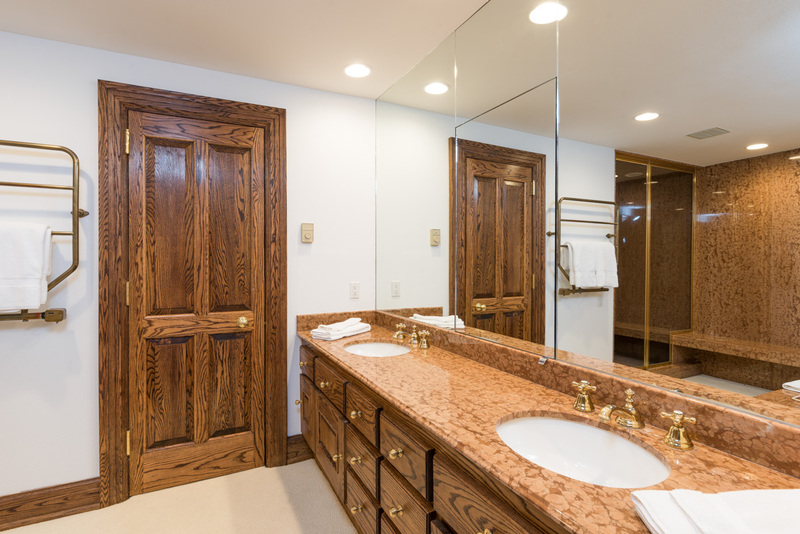 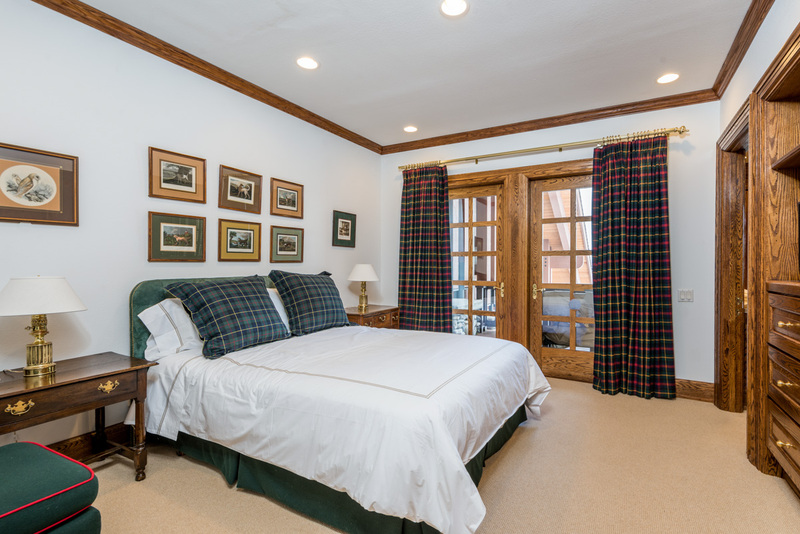 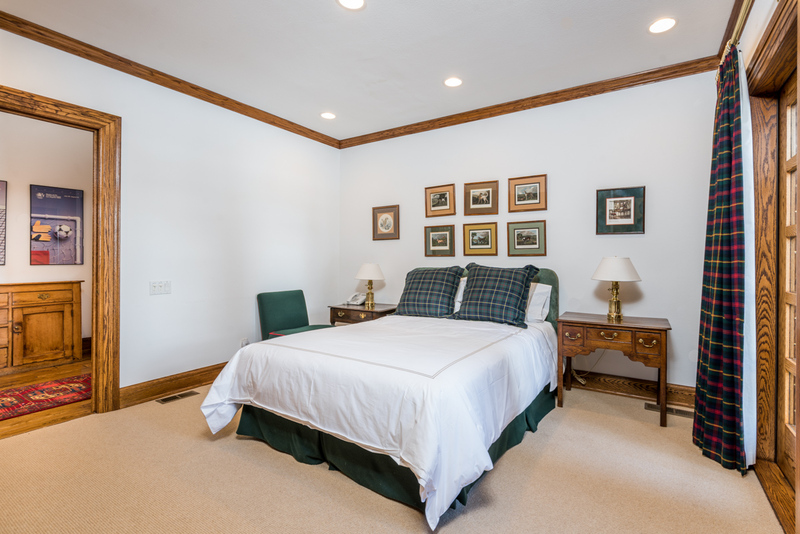 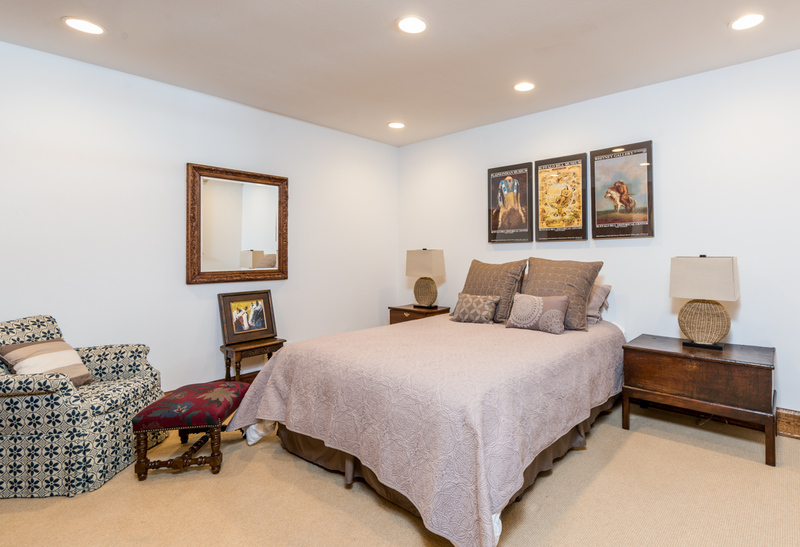 Down the hall is the private fifth bedroom, which features a queen bed, TV and private bath. 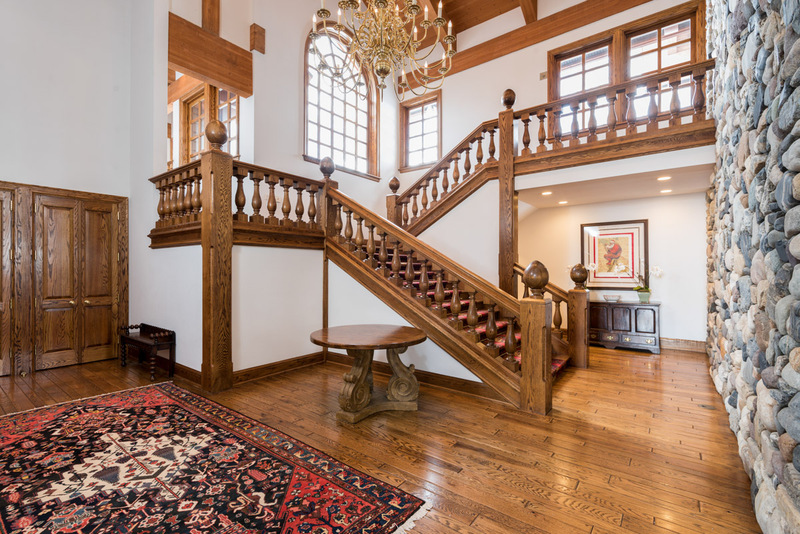 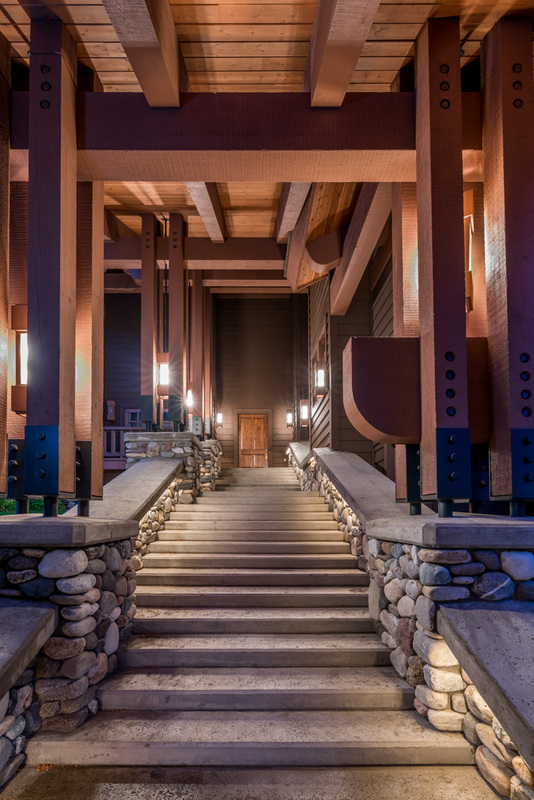 Outside, there is a grand staircase leading to the front door with stone accents and redwood beams that create the feeling of an estate on a movie set, matched by cinematic views below. 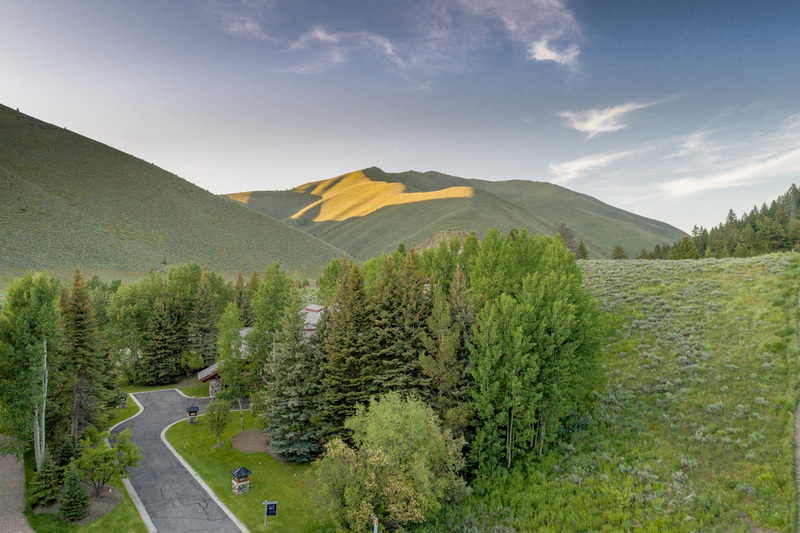 A private garage offers parking for one car, giving you the freedom to explore Sun Valley and the surrounding area, including national forests and monuments. 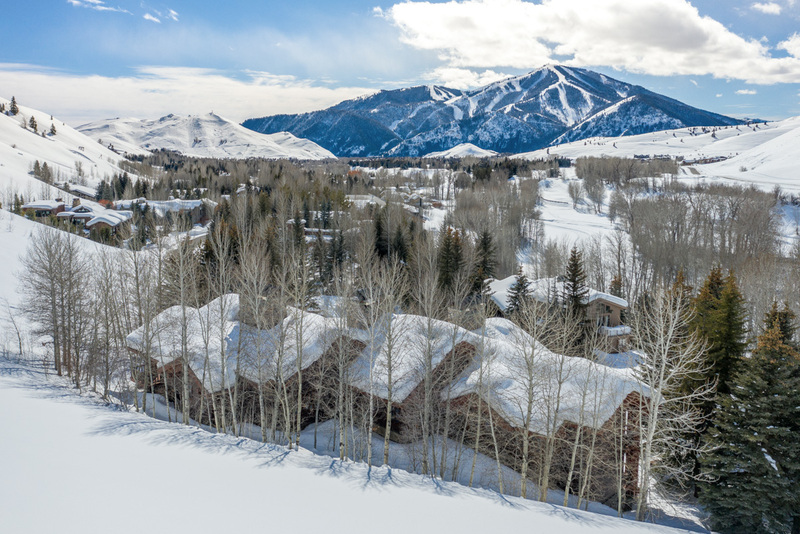 River Run Lodge, Sun Valley Lodge and downtown Ketchum all minutes away. 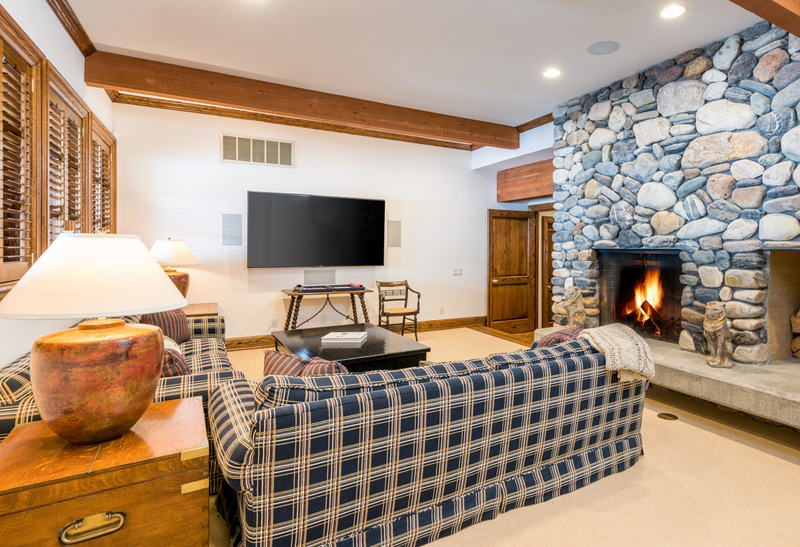 Whether you’re hosting a family reunion, company retreat, or getaway with friends, River Rock Lodge offers the privacy, amenities and atmosphere for an unforgettable mountain retreat.